A growing number of Milwaukee County Board members are calling for a third-party investigation into how the county jail is run. Supervisor Supreme Moore Okomunde says anyone with complaints about how they were treated at the jail should come forward. “I want to know from people who are in our jails what is actually happening, because if these four deaths are representative of a culture within our jails it is not a good thing, it is a terrible thing,” Okomunde said. Okomunde is the chairman of Milwaukee County’s Health and Human Services committee. Milwaukee County Executive Chris Abele says he would support a third-party investigation into operations at the county jail. 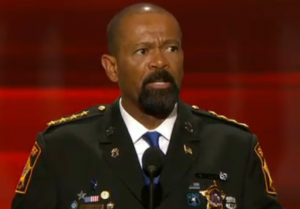 However, he says it would be up to Sheriff David Clarke to give the green light. Marina Dimitrijevic is another county supervisor who agrees that an independent investigation is in order. “The time has come for an independent investigation that is not housed within the county,” Dimitrijevic said. County Board Chairman Theo Lipscomb is also calling for a third-party investigation — into jail operations as a whole. An internal audit of jail operations is underway. Three inmates and an infant died in the Milwaukee County jail in a six-month period.